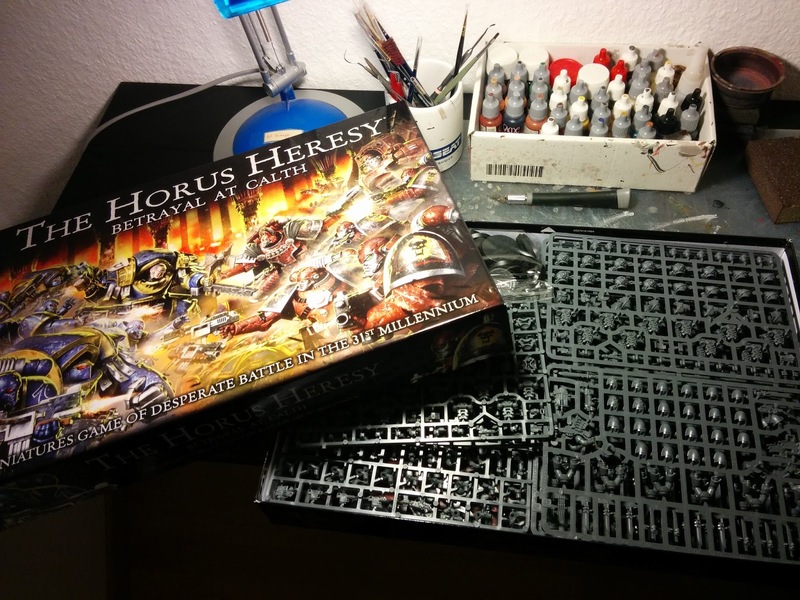 As you all know there is a new range of plastic miniatures from GW about the Horus Heresy... as I am a big fan of it I could not resist! 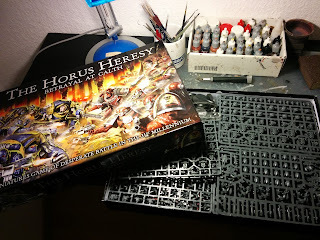 I bought a box and I am already in the process of preparing the miniatures. I have decided I will make a Sons of Horus Legion, but I am not yet sure whether I will make them as Luna Wolves renegades / loyalists commanded by Loken or bad guys leaded by Abaddon... either way, it's a good excuse to get both characters from Forge World! Also I am hoping to play a campaign based on the Betrayal book that a friend is planning to organize, so stay tuned as more updates will come!